I am lucky enough to have good friends who regularly visit Ireland. 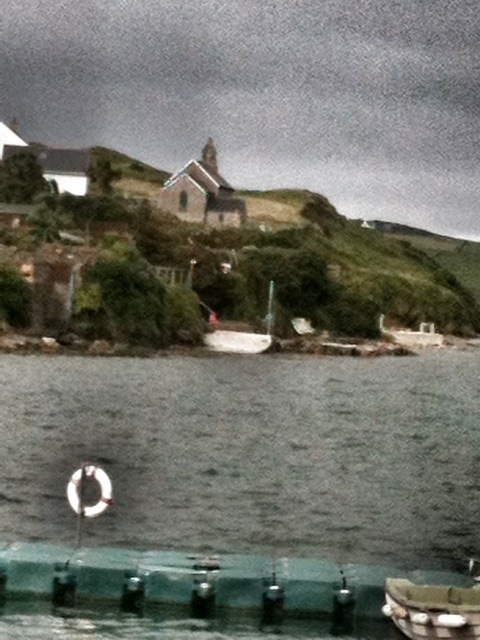 They have invited me to join them during their stay in Schull, a small village on the west coast. 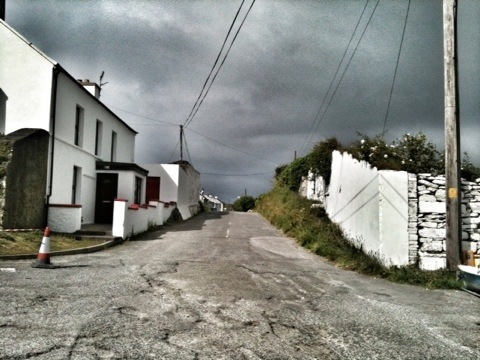 This morning we were up early and we set off for a scenic drive to Mizen Head. We have driven down single lane roads and been barked at by border collies…we hit a dead end on a rocky cliff and doubled back through wild and wonderful countryside –had tea and scones at a shipping station and snooped through flea markets and an art gallery along the way. If you’ve ever thought of coming here, I can’t recommend it enough. Ireland will not disappoint. So happy to have you hear. Your Louise to my Thelma. Or vice versa. Love that top picture of the houses and the road.